Vowel pairs are easier to sound out than they look. Help your first grader tackle the vowel pairs oe and oa with this matching worksheet. MOO! That's the sound that the diphthong "OO" makes. Whether your kid is moody or cool, he'll soon learn about this sliding vowel sound. The long "O" vowel sound makes the same sound as the letter "O"! Help your little reader sort out his vowel sounds with this fun worksheet. Help your child learn vowels and improve his reading skills with this printable worksheet that's all about short "o" sounds. Mastering vowel sounds is an important step on the path to reading! Use this one-on-one assessment to gauge your first graders' knowledge of words that have a long O sound by having them read these sight words aloud. Give your second graders some practise with long vowel word families and spelling patterns with this colorful activity! Students will identify long O words based on picture clues, then determine the spelling pattern of each word. 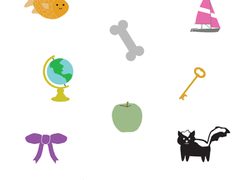 Help your first grader become a more confident reader by practising short o word families. Help your first grader learn some long u words and letter patterns by reading other ue and ui words. 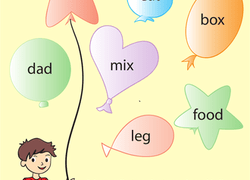 Practise recognizing those short vowel words with this balloon-filled worksheet. 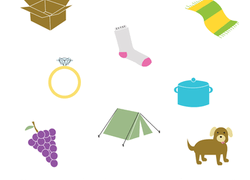 This activity boosts reading readiness, and it's lots of fun, too! This worksheet will help your first grader understand the difference between a long o and a short o. This year two word scramble will give your child practise with the different sounds that the double vowels "oo" and "ue" can make. It's time to check in on those long and short vowel sound skills! Use this fun picture assessment to check your first graders’ abilities to distinguish long and short O sounds. These words need sorting! 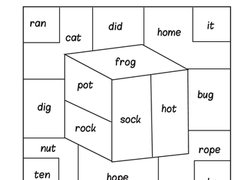 Give your second graders some needed vowel practise with this sorting activity. Students will read words and then sort them into long and short O words. Give your child a fun way to practise spelling and vocabulary with a flower-themed word search! On this year two phonics worksheet, kids practise identifying the short "O" vowel sound by circling pictures. Then they write their own short "O" word. On this year two phonics worksheet, your child will practise identifying the long "O" vowel sound by circling pictures. Then she'll write a long "O" word. This printable worksheet will help your kid's reading skills through phonics. 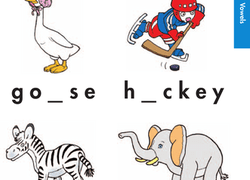 Look at the different pictures and then decide which vowel is missing! 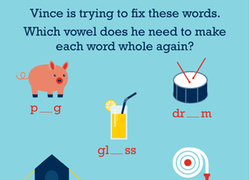 Get to know some of the vowel blends that say "ooh" with this vowel sounds word scramble! Use the pictures to help you unscramble each word. Long and Short Vowels: "O"
With this worksheet, kids match picture names to items representing short "O" and long "O" vowel sounds, then glue the pictures to the page. Review long and short vowel sounds with your little speller. He'll practise writing out words, using the word bank for help. To complete this worksheet your first grader will need to look at the different pictures, and write the vowels that are missing in their names. 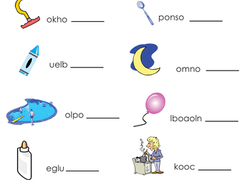 Review your vowel phoneme with this worksheet that focuses on the "oi" phoneme. Have some phonics fun in the word construction zone! Sound out each word to figure out the beginning and ending letters.